These are the icons – the style and power that introduced professional performance to the home. Viking made quite a few upgrades over the years, but these are still the ranges people see when they dream of a professional kitchen. 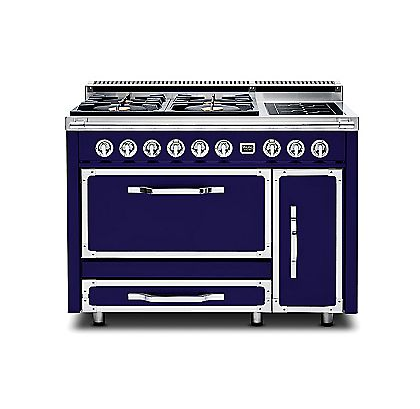 Available in a variety of sizes, fuels, and burner configurations to accommodate any kitchen… it’s just a question of how big you dream. 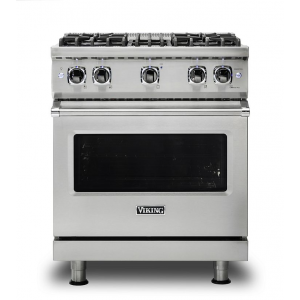 The Viking Professional 7 Series Gas Ranges feature 23,000 BTU Elevation Burners adapted from the Viking Commercial product line, combined with a fully-featured convection oven that includes a Gourmet-Glo Gas Infrared burner to create a restaurant-caliber range unlike any other on the residential market. 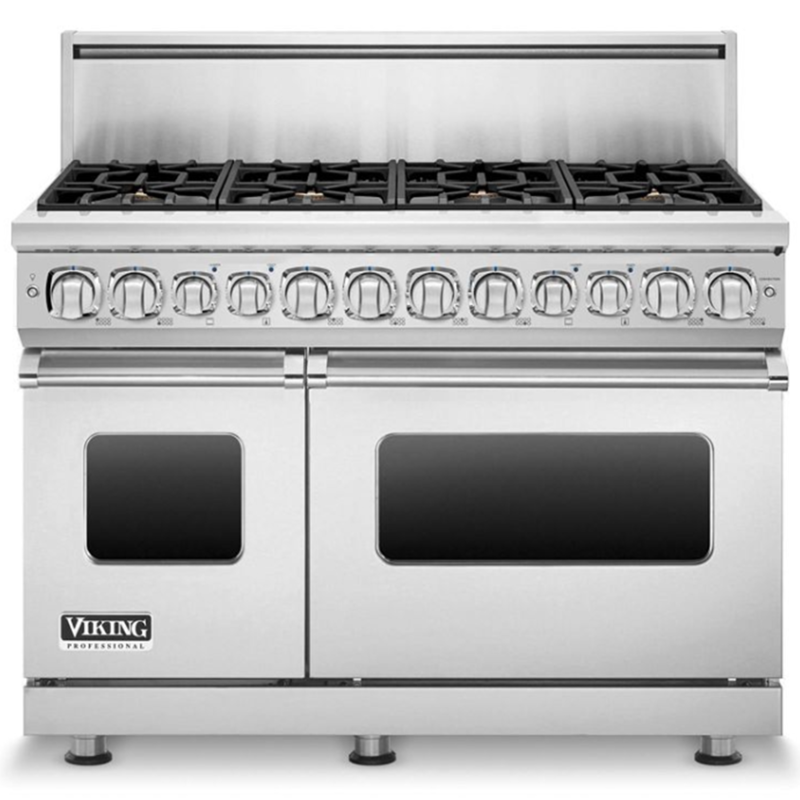 The Viking Professional 7 Series Dual Fuel Ranges combine the commercial power surface burners with high performance features of the Viking Professional electric self-clean oven for one truly superior range. Preheat optional – there is no need to preheat oven when baking certain foods in Convection Bake mode. Additional 7 Series Range features include a Gentle Close Door and the LED control panel lighting. The Professional 5 Series Gas Ranges fine-tune professional performance from the ground up. The VSH (VariSimmer-to-High) Pro Sealed Burner System delivers precision control up to 18,500 BTUs. Inside the oven, the combination of a 30,000 BTU U-shaped Bake Burner and 1,500ºF Gourmet-Glo Gas Infrared Broiler provides unrivaled power, and the convection system cooks gently with ProFlow convection heat. The Viking Professional 5 Series Dual Fuel Ranges combine the power of the VSH Pro Sealed Burner System with the convenience of an electric self-cleaning oven. 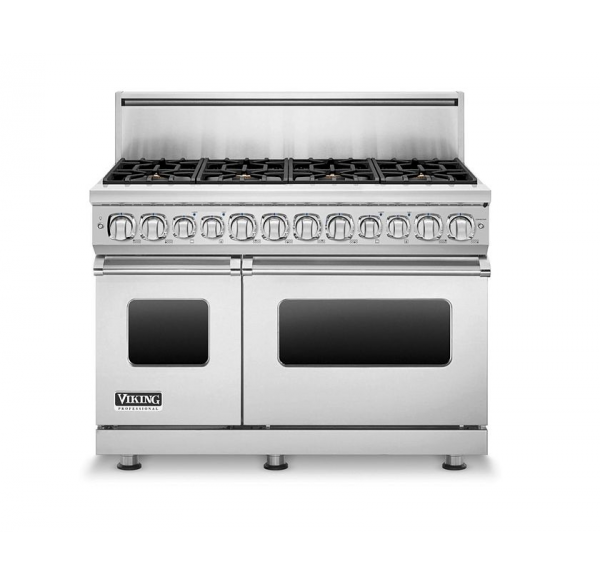 Select models offer an 18,500 BTU front burner for the ultimate surface cooking power. In addition to the largest oven capacity on the market and up to ten cooking modes, the oven offers patented Vari-Speed Dual Flow Convection Cooking, and Rapid Ready Preheat System. Viking offers the only Professional all electric, commercial-type range for the home. 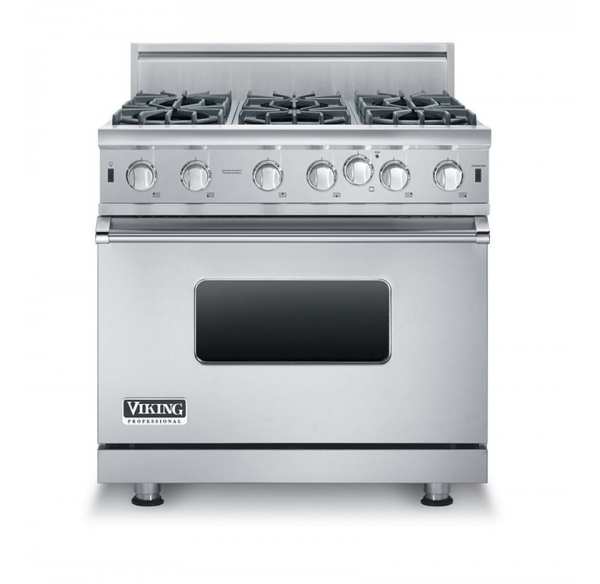 This 5 Series Range fits into a standard 30″ wide, 24″ deep cutout and boasts one of the largest oven capacities available. Professional features include QuickCook Surface Elements for fast heatup, Vari-Speed Dual Flow Convection Cooking, Rapid Ready Preheat System, and an electric self-cleaning oven. MagneQuick Induction Elements generate a magnetic field to transform your cookware into its own powerful heat source. The heat transfer is nearly instantaneous, incredibly precise, and over 90% efficient. 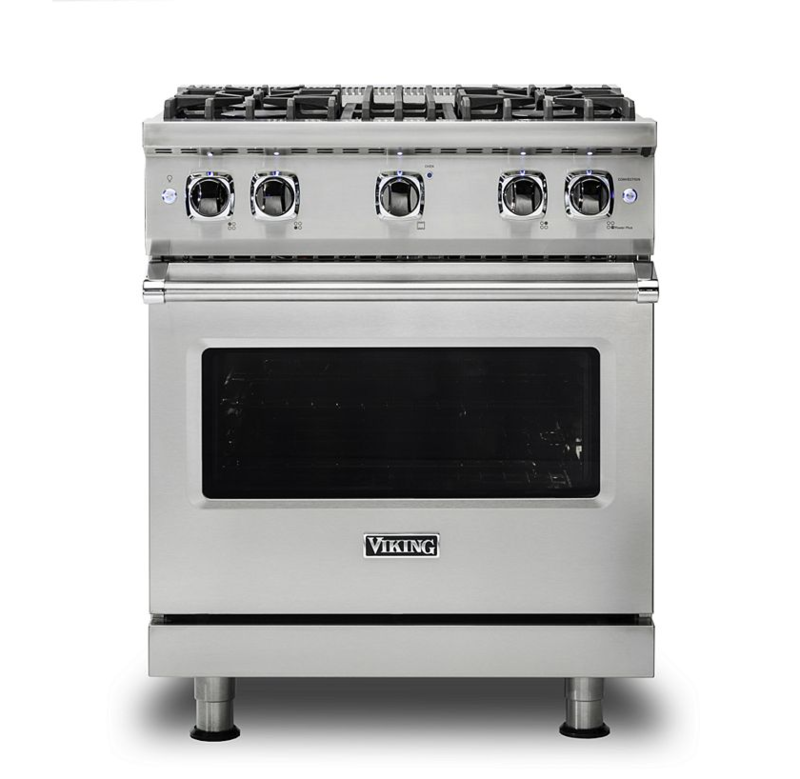 Underneath, you get the largest electric convection oven on the market, and it’s filled with ultrapremium features like the Vari-Speed Dual Flow Convection Cooking and Rapid Ready Preheat System.